Just as Amelia thinks she's over her anxiety and insecurity, her best friend announces her engagement, bringing her anxiety and insecurity right back. Richard: So the corrugated metal not only reflects the beauty of the common, off-the-shelf material but also emphasizes the invisible line between the old and the new construction. Christine: Wait. There'll be a line? David: Just let him finish. Once you get through the first half-hour of this film, you've seen essentially all you need to see, plot-wise: four friends, three of whom have money, and all of whom are "stuck" in some way. Thank goodness for Frances McDormand, whose superb acting makes this movie watchable long after the scenes start repeating themselves. 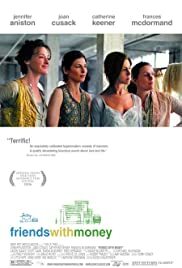 Catherine Keener and Joan Cusack are also very good to watch, even if their roles do not allow for much development. 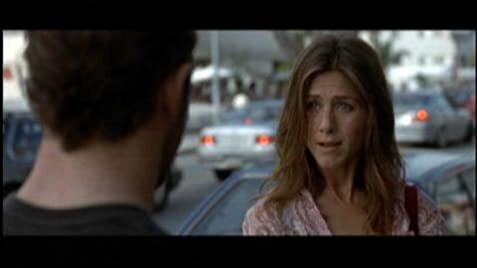 Jennifer Anniston's role and her ability to carry the part are both severely flawed: Anniston brings absolutely no personality to the part, and the part itself doesn't ever really develop. For this movie, it's a fatal predicament, since Anniston's role is the central one.